Teachers and students began the school year in updated, bright classrooms at The University of Texas Elementary School. During the summer, new classrooms were added and all existing classrooms were renovated, including updates to the floors, interior and exterior paint, new decking and modernized classroom technology. 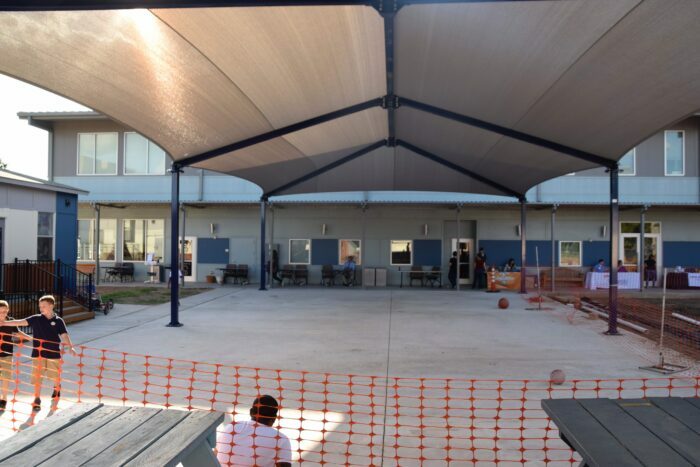 Currently the courtyard is being updated, and a new canopy was installed just in time for the first week of school. Updates to parking, a new sports field and primary play areas will happen this Fall with completion by the end of the Spring semester. 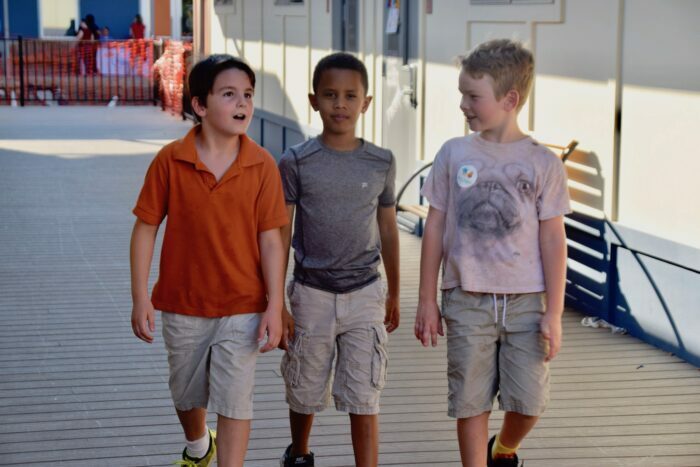 Students returned to school in August to new decks and freshly remodeled exteriors at UT Elementary school. Gone are the days of the dusty courtyard! The covered sports area will be a big hit with students and teachers for years to come. 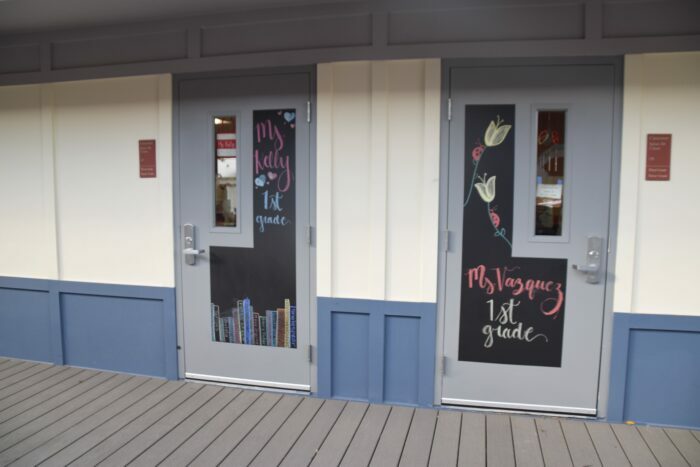 Well-designed doors that allow teachers to customize greetings help make UT Elementary even more welcoming.